New parents are keen on introducing high aesthetics to their precious babies from their first days in this world, desperately trying to choose the most beautiful things on the market for their little ones. 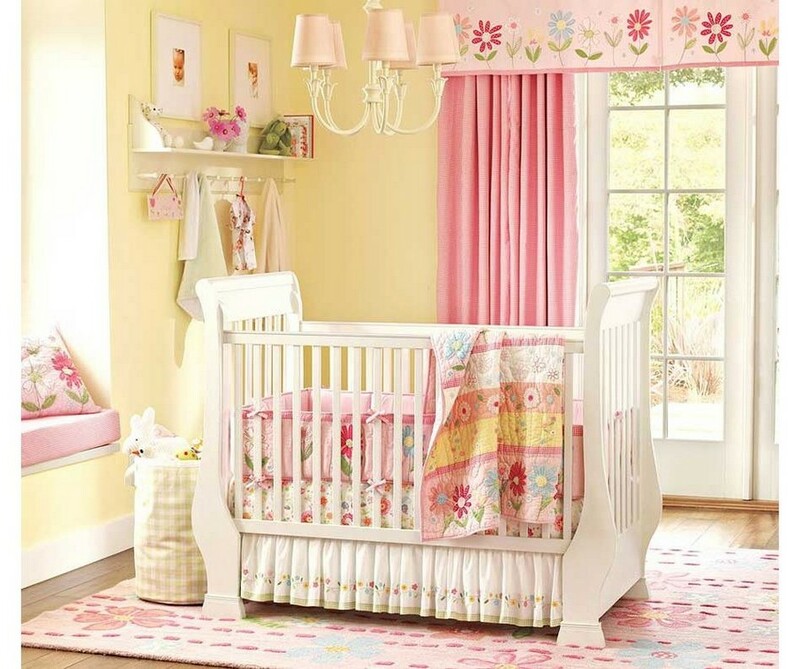 But when it comes to choosing the right bed and bedding for a newborn, they frequently have to face the challenge of the right choice, since there are other important criteria besides beauty – safety, ecology and comfort. A good bed is a key to sweet and sound dreams of a baby. So, what are the things you should know to pick out the right cot? Please, be informed that a standard size of a baby bed is about 120 cm x 60 cm. But you should always preliminarily measure the spot, in which you plan to put the toddler’s bed. To protect your child from injury during the period of teething give preference to models with plastic or silicone protectors. If you need your newborn right by your side during his or her first months, pay attention to a crib. It’s designed for babies up to 6 months. This is actually extra expenditures, but you will surely enjoy the mobility of this construction and the way your precious little one can be watched and feel warm and cozy. Pay special attention to the distance between each bar: it must vary from 2 to 8 cm for the sake of your kid’s safety. Otherwise, his hands, legs or head may get stuck between the bars and cause injuries. Ideally, a couple of bars in the cot should be removable, so that an older kid could get into the bed on his own. Always give preference to wooden baby beds. This is the most eco-friendly material that can “breathe”. Such a cot is quite easy-to-care: it’s washable and dries very fast. The best species of wood for baby beds are birch, alder, maple, and beech. Also, pinewood is good, but it’s a little bit softer than the above-mentioned species and hence has clear marks of any scratches and mechanical damages. You may come across plastic or chipboard baby beds. They’re cheaper than wooden ones, but you must always check the quality certificates, since these materials are traditional carriers of toxic substances. For your kid’s safety the surface of the cot should be perfectly smooth. Before purchase check it with your hand – there must be no roughness or jagged edges. It’s not recommendable to choose models coated with lacquer, varnish or polish. They may contain lead, which is extremely hazardous for baby’s health. Despite the age of your kid, the bed must have a sturdy base – a framework, to which slats are mounted. Their orthopedic role in ensuring the right backbone position is crucial. Pay special attention to the mattress for your baby. It must be eco-friendly, preferably semi-hard and filled with coconut fibers. And don’t forget about a safe bed linen – it should be made from 100% natural materials and dyed with non-toxic colorants. We hope that our tips would be useful for you and your baby. And if you’re puzzled about choosing the right baby bed type, you may find much useful information in our next post.